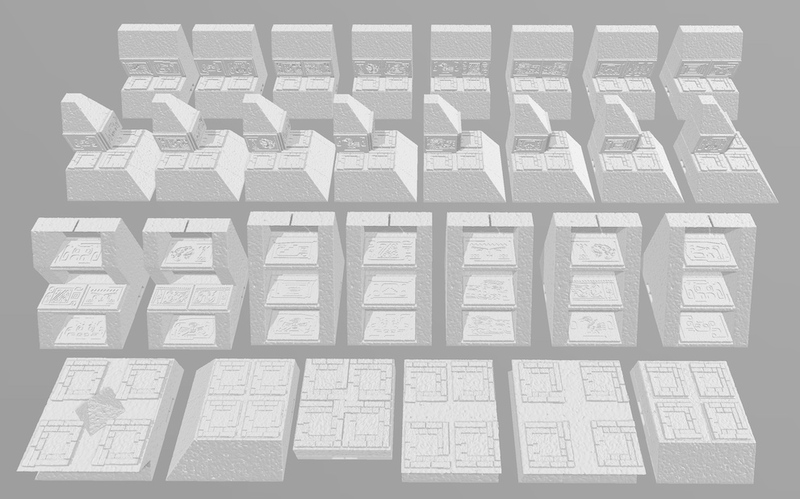 This set of 3D-printable terrain, Aztlan 5, is a continuation of Will's first self-published title. This line shows his love of Mesoamerican culture and this set seeks to be a celebration of multiple civilizations. It includes walls, corners, and outer stairs with which to make step pyramids, as well as platforms and edges for elevated fighting spaces -- nearly 30 DragonbiteTM-compatible STLs in all.